You are an administrator for a company which currently maintains several Domain Controllers. 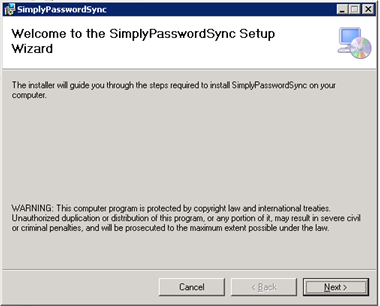 A decision has been made to implement Simply PW Sync Capture Agent to take advantage of password synchronization, to solve administrative challenges and to reduce operating costs. The password synchronization capability will allow the company to deliver the functionality and simplicity of single sign on into a distributed environment. 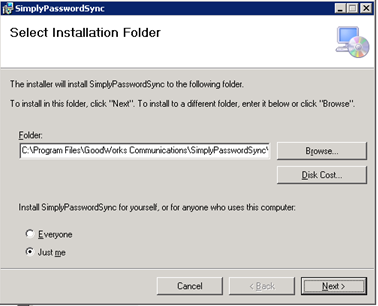 Download password capture agent to any local drive. In this document, we will use x64 bit capture agent. In the previous tasks, you ensured that your environment meets all of the prerequisites for installing the Capture Agent on a Domain Controller. In the following task, you will install the Capture Agent on the appropriate Active Directory Domain Controller. 1. Logon to Domain Controller as Domain Administrative. 2. 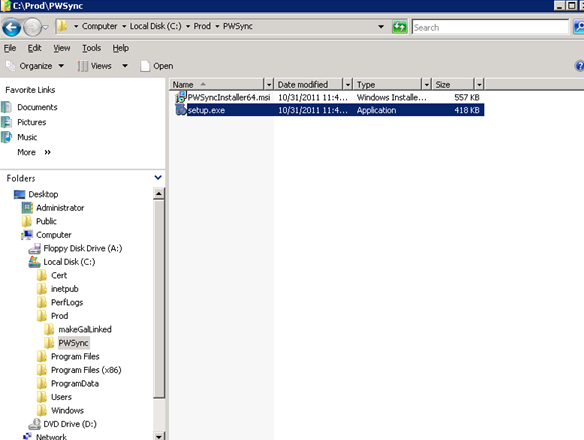 On Server, Run Windows Explorer and find setup.exe in extracted target folder. 3. Run PWSyncInstaller64.msi or PWSyncInstaller32.msi. 4. On the Welcome page, click Next. 5. 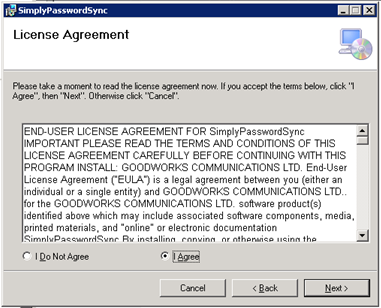 On the License Agreement page, select I Agree and then click Next. 6. Browse folder location to install and Choose Just me or Everyone. On the Network Credentials page, click Next. 7. 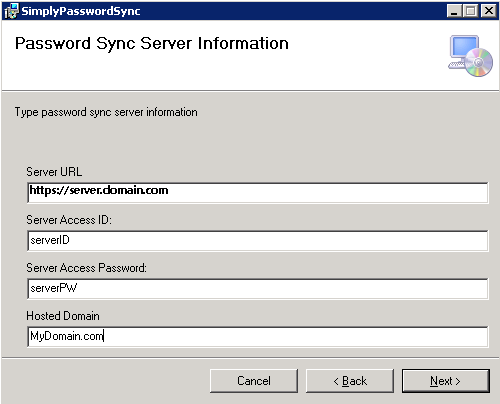 On the Password Sync Server Information page, Type Hosted URL, Access ID, Password and Hosted Domain click Next. Server URL: This is server URL to receive password change info. 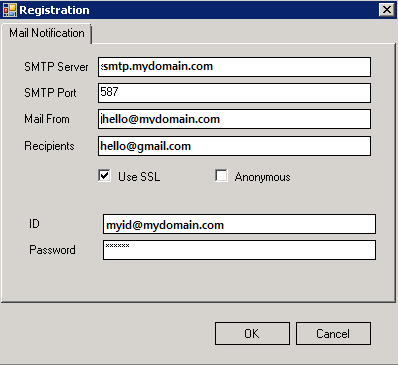 Hosted Domain: if server is shared hosted environment, type OU name under Hosted Active Directory. 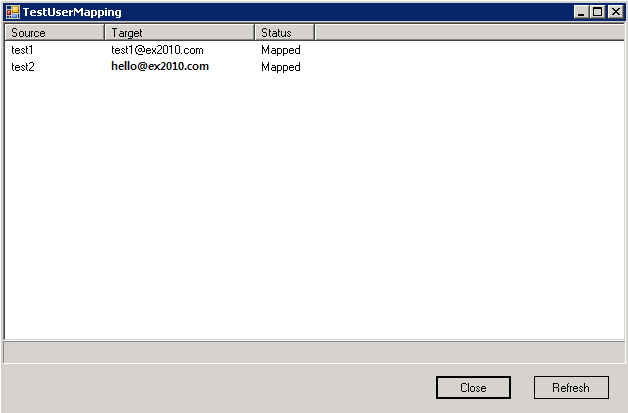 For examples, if you are using hosted exchange which is using Exchange 2010 with hosted mode. 8. On the Confirm Installation page, click Next. 9. On the Installation Complete page, click Close. 11. Confirm PWSync Client Service is running. In the previous tasks, you installed the Capture Agent on every Domain Controller in your environment. In the following task, you will configure the Capture Agent. 1. Logon to the Domain Controller as Domain Administrator. 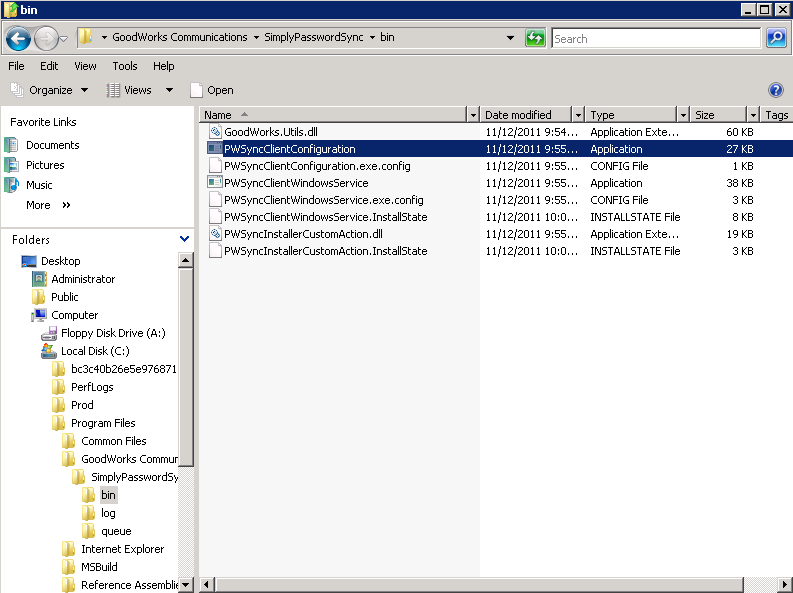 On Server, Run Windows Explore and locate install folder. Click on "Tool" -> "Test Usres Mapping"